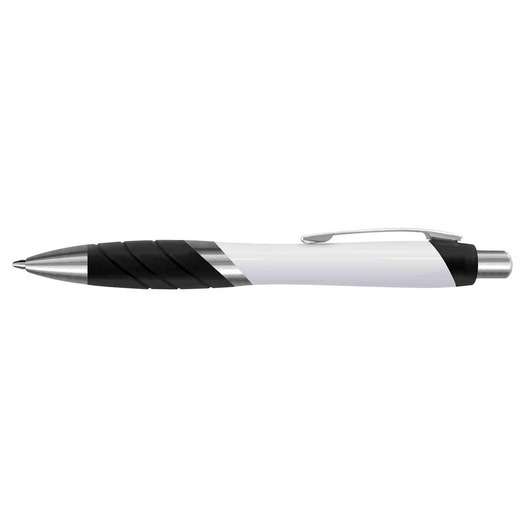 A white barrel pen with high quality ink and a tungsten carbide ball. 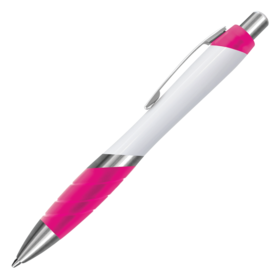 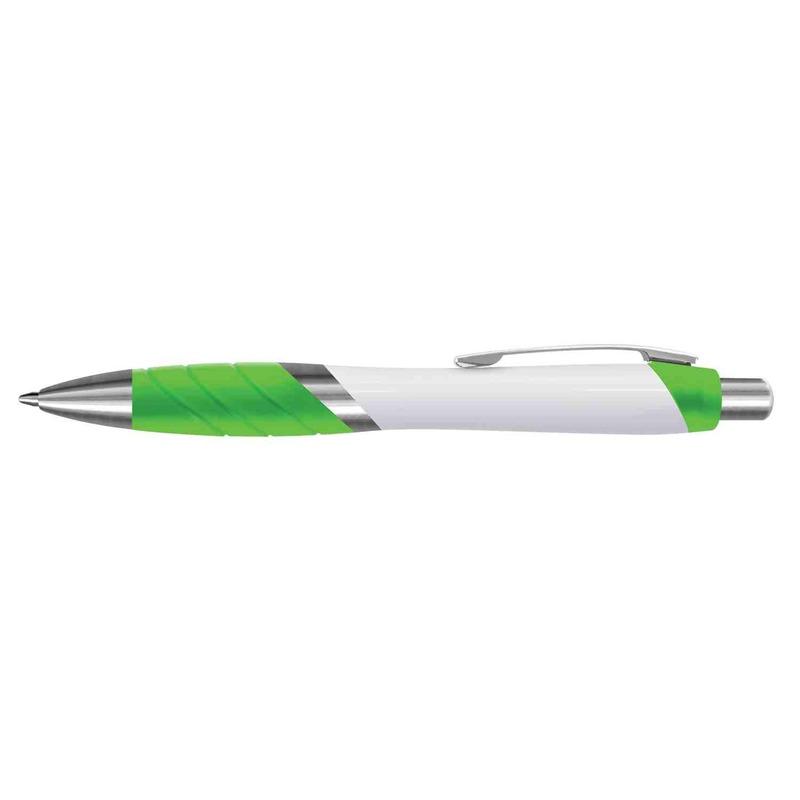 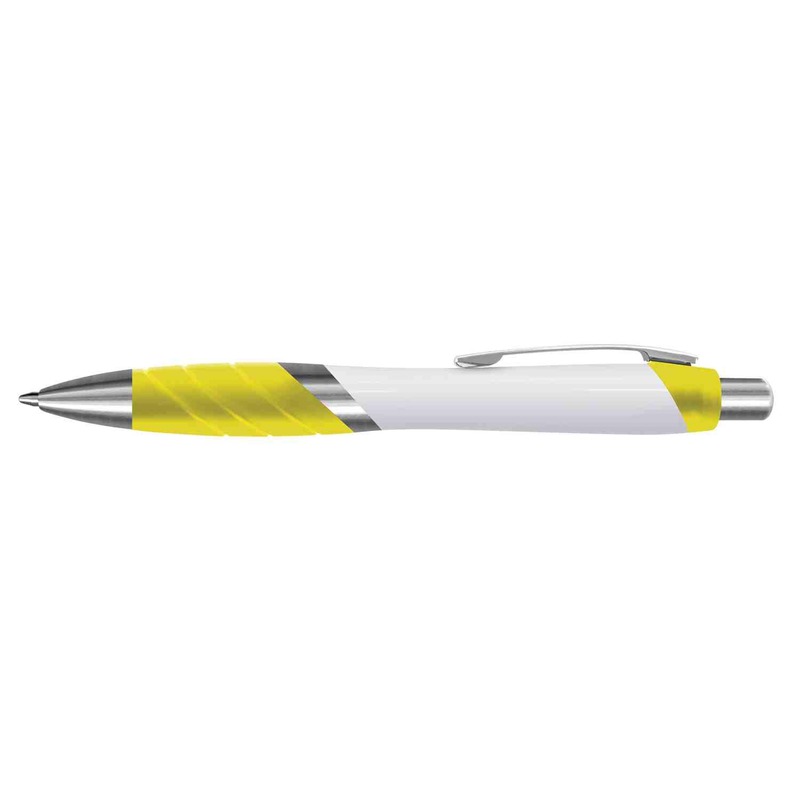 Enhance your branding reach at your next promotional event using these great pens as a giveaway item. 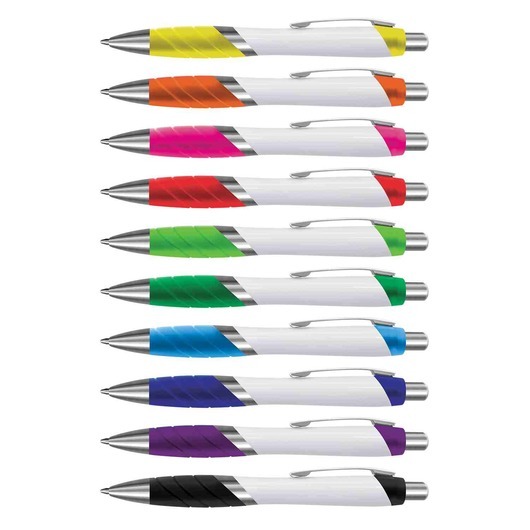 Made from plastic and metal with a trendy design and high quality ink/materials makes these pens a remarkable choice. 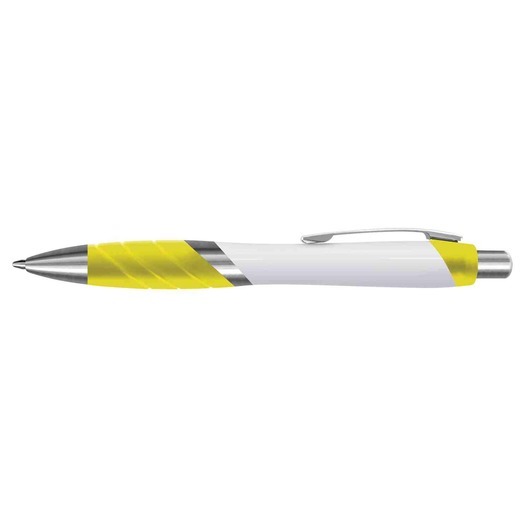 They have 1800m of black German made ink along with a tungsten carbide ball that allows them to glide across the page with ease.